According to a story appearing in USA Today, the current NSA surveillance of Americans is based on an earlier, pre-9/11 program used by the DEA. For over two decades, the DEA and the Justice Department collected logs on every phone call from the United States to over a hundred foreign countries. Officials said the operation was related to drug trafficking. The program, said to have been discontinued by the Justice Department, is described as the first known effort to collect data on the phone calls of Americans in bulk without regard to the Fourth Amendment. 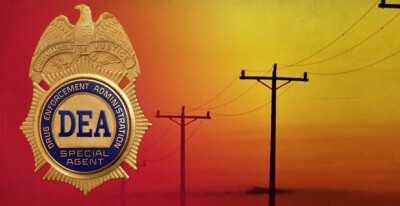 The Justice Department described the DEA program as “one of the most important and effective Federal drug law enforcement initiatives” as it went about trying to convince telecoms to turn over phone call records. The rationale was contained in a previously undisclosed letter sent to Sprint in 1998 by Mary Lee Warren, the head of the department’s Narcotics and Dangerous Drugs Section. Warren said the operation had “been approved at the highest levels of Federal law enforcement authority,” including then-Attorney General Janet Reno and her deputy, Eric Holder. The revelation provides additional evidence that the government is wantonly violating the constitutional rights of American citizens. Massive intelligence gathering aimed at the American people began at the end of the Second World War with the establishment of the national security state. The National Security Act of 1947 established the Department of Defense, the National Security Council and the Central Intelligence Agency. In addition to the U.S. Army working with the country’s three major telegraph companies, ITT World International, RCA Global, and Western Union to monitor all telegrams moving in and out of the United States, the FBI began a massive surveillance program targeting dissidents and activists considered a threat to the establishment. COINTELPRO also included efforts to destroy the reputations of targeted individuals and other dirty tricks, allegedly also including violence and assassination. In a study of the NSA, historian Thomas Johnson noted that the agency engaged in widespread wiretapping and watch-list operations and that it “seemed to understand were disreputable if not outright illegal” and unconstitutional. “Decades before 9/11, and the subsequent Bush order that directed the NSA to eavesdrop on every phone call, e-mail message, and who-knows-what-else going into or out of the United States, U.S. citizens included, they did the same thing with telegrams. It was called Project Shamrock, and anyone who thinks this is new legal and technological terrain should read up on that program,” writes security analyst Bruce Schneier. The USA Today report and the corporate media in general have failed to note that massive government surveillance of the American people predates September 11, 2001 and has been a prominent feature of the national security state since its establishment by President Harry Truman in 1947.